Everyone likes to save and optimize spaces. You can always customise the carpentry required. So, check out quick and easy tips on how to do this right now. How about escaping the traditional and bringing the blackboard into the kitchen? In it you can write down recipes, reminders, messages and even declarations of love. There are several ways to make the blackboard, and you choose the one you find most convenient. You may have noticed that the fashion of the crates and pallets is here to stay. Wooden furniture works with stackable boxes and crates that can be used with casters or not – like the Comrade Line. In addition, there are also wooden pallets, ready to be used. With the crates and pallets in hand, choose the models of the shelf you want to make and that’s it: just customize! Now it is possible to give another face to that tile that you cannot take anymore, without having to break anything. There are thousands of different prints of Adhesive tiles, one more beautiful than the other and the application is fast, just follow the manufacturer’s instructions. 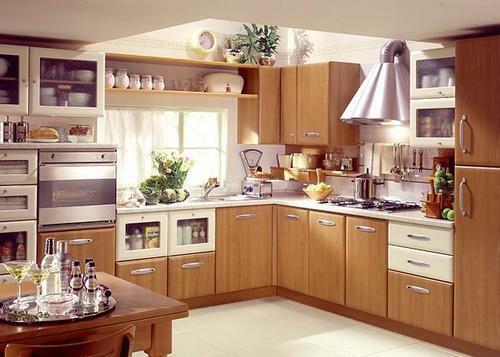 They are perfect for revitalizing the kitchen in a few hours, without works, without endless spending, without the need of a specialized professional to do so. It is proven: having plants indoor is an effective way to improve the mood and atmosphere of the environment. In addition, some species purify the air, perfume and even repel insects. It is the best definition of joining the useful to the pleasant. Do you know those glasses of mayonnaise or canned food that you were going to throw away? Reuse all of them. There are several possible ideas for reusing glass jars: door knives, lamps, cups and flower vases.